Students looking to add a class to their fall semester schedule at Kellogg Community College should consider PSYC 240: Introduction to Applied Behavior Analysis. The course runs 8:30 to 9:50 a.m. Mondays and Wednesday, Aug. 29 through Dec. 12, and provides a foundation for several other courses required for education and psychology majors, introducing students to principles including conditioning, learning and behavioral analysis. PSYC 240 professor Donn Montgomery, pictured above, said it’s a class that all psychology majors should take but it would also be useful for most students studying in the fields of education, organizational business management or human services. Montgomery emphasized the hands-on nature of the class, which will include computer simulations, direct subject observation, field placements, interviewing practices and contract writing in addition to lectures. “Students are actually going to be doing it, no just reading it in books,” he said. The course would be particularly helpful for students working with children, including autistic or developmentally disabled children, he said. For more information about psychology studies at KCC, visit www.kellogg.edu/psychology. 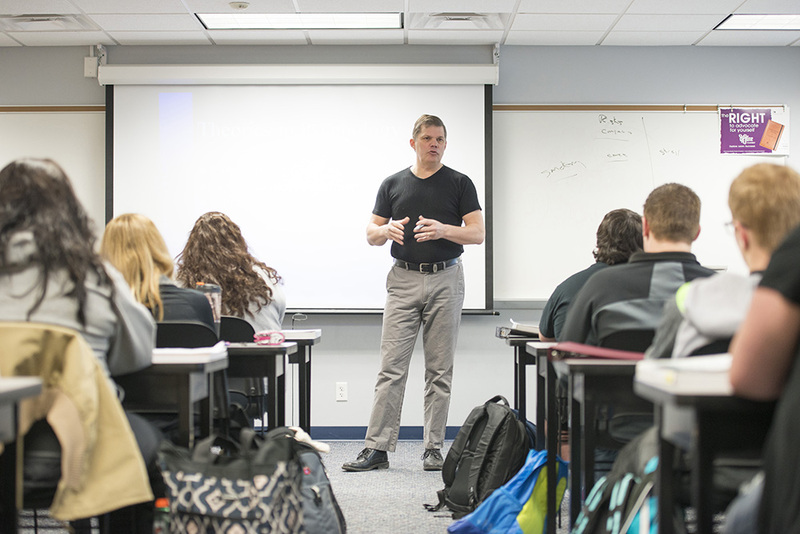 For information about registering for Fall 2016 classes at KCC, visit www.kellogg.edu/registration.